When it comes to affordable vegan leather accessories, Lavishy has a great selection of fun designs. They offer makeup cases, including applique patterns and embroidered designs as well. 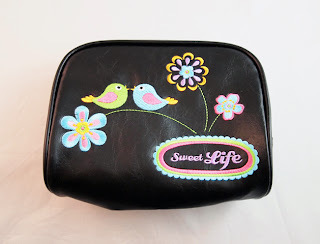 One of the embroidery patterns, Sweet Life, is available both as a makeup case and in a variety of other accessories as well. This case is constructed of polyurethane, a vegan leather, and lined in a slick fabric. 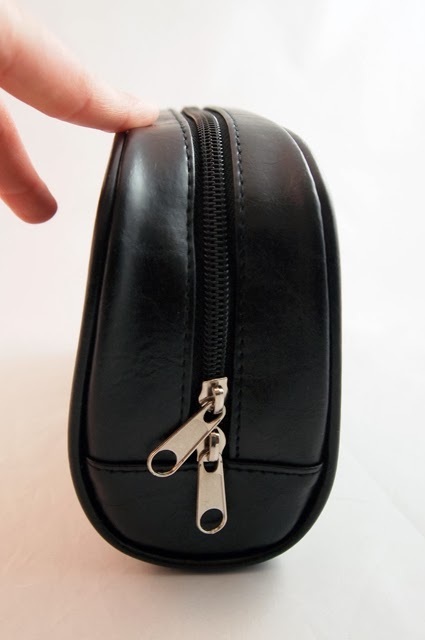 It is a great size for makeup, as it will hold many essentials and a few fun pieces as well. It is 7 inches long, so it can also fit many brushes. However, it isn't waterproof, so I recommend using it for cosmetics that won't leak when traveling, or putting them in an individual zip-top bag inside the pouch. I love how Lavishy has a Sweet Life series, similar to their other designs, so you can coordinate your accessories with your preferred design. There is quite a range of products, from makeup cases to wallets and luggage tags, so I recommend checking them out for fun gifts for you or a lucky friend.